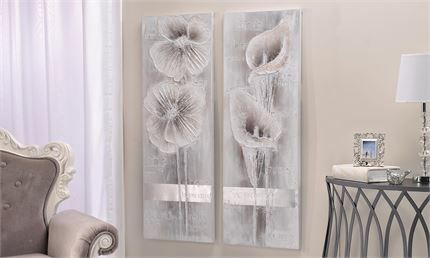 Acrylic Painting on Stretched Canvas Wall Decor with Flowers Design. Grey, black and taupe color palette. Pine wood frame.